Given the competition in the video game industry, what can you do to make your game stand out on store shelves? Well, you can try copying another game, that's coming out and hope that the non-serious gamer (or mother) won't be able to tell the difference. This happens all the time with poorly-made rushed movies that coincide with upcoming blockbusters, so why not make it work for you? Why not try some subtlety? You could make your cover look like a book from the 1960's. Gamers seem to respond well enough to that to make their own, even. How about classing it up? 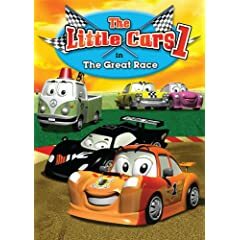 Make your cover show that you are the Criterion Collection of games. Show that you love the product as much as you hope a potential buyer will. Or have some fun. This approach is somewhat backwards. Gamers have to like the game to make to make alternate or fake covers, and that means you have to sell it first. All the games in the posts above were bought and loved with whatever cover they originally shipped with. I know that the quality of a game has nothing to do with its cover. And plenty of terrible games have decent covers, too. If that helps them sell, so be it. But your game is good, and so you're back to the original problem. Well, I'm inclined to think that for every person who buys a game based on cover and back cover description alone, there's at least one who buys a game they heard was good, or read a review of and has already decided to purchase when they walk into the store. This wasn't always the case, but with the internet and all, fewer and fewer people are dropping $60 to find out if the game matches the cover quality. People buy used games on impulse but you don't make any money off that, do you? Or don't. Covers might not even be around in a year or three, thanks to digital distribution. But please, do find some other way to show you've put care and love into your game. We'll say thanks with money. 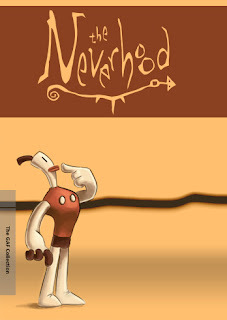 Thanks to Mike Mayday, who can be reached via wp.pl for the drawing I used in my Neverhood box art. Eldritch: Way back in the day, Mac games had some truly amazing box design. Forget the plain old rectangle, games like Marathon 2: Durandal were triangular, with a flat back and a raised front, and the recessed Marathon logo in the middle. Then there was Spectre Supreme and Spectre VR, which had boxes that were angular representations of the tanks from the game. Beautiful to behold, but such a pain to open. Fun fact: Spectre VR was packaged with a free copy of Neil Stephenson's Snow Crash way back when. How's that for cross-promotion? Pseudonym:MMMMMM, like the old Sierra games. Square, yes, but consistent, lavishly-painted covers, beautiful context-providing instruction manuals, maps... those were the days. Nowadays you get a DVD case with a PDF manual. Better for the environment, more expensive, and not as good. Just link to the goshdarn website, dude!